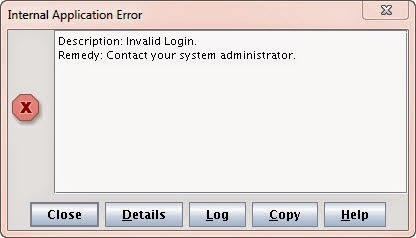 When you try google URL after configuring SSO you will get system error instead of Login page. [2014-09-29T18:06:17.373-04:00] [oam_server1] [WARNING] [OAM-02073] [oracle.oam.controller] [tid: [ACTIVE].ExecuteThread: '4' for queue: 'weblogic.kernel.Default (self-tuning)'] [userId: <anonymous>] [ecid: c30ad4bc9da0dbee:-1b2a6850:148b3c4478d:-8000-000000000003d3c6,0] [APP: oam_server#11.1.2.0.0] Error while checking if the resource is protected or not. 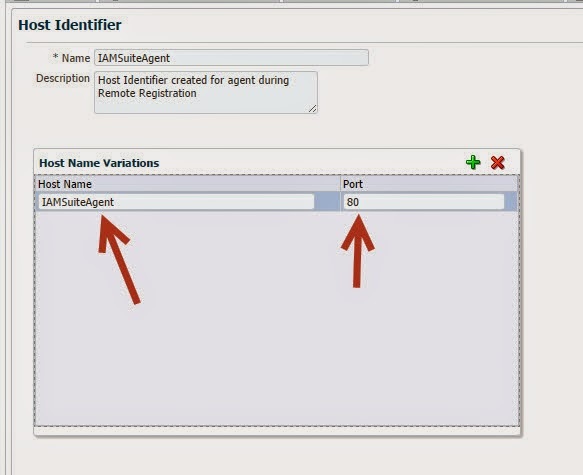 Basically while doing federation OAM looks for IAMSuiteAgent on port 80 and tries to apply policies that are created for IAMSuiteAgent on Google apps or any other federated application integration. 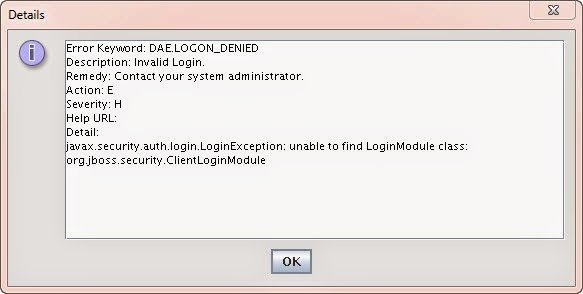 This issue occurs only when IAMSuiteAgent was deleted in OAM Environment for some other reason. Verify if policies for IAMSuiteAgent were created or not. Try hitting google apps URL: example mail.google.com/a/iamidm.com and you should get login page. Following issue while logging into design console. If we start OIM server using node manager we won't get this error, we get this error because we are setting properties only in weblogic admin console which won't take effect if we are starting server without node manager. <Sep 17, 2014 11:18:57 AM EDT> <Error> <Deployer> <BEA-149205> <Failed to initialize the application 'oracle.iam.console.identity.sysadmin.ear [Version=V2.0]' due to error weblogic.management.DeploymentException: [J2EE:160149]Error while processing library references. Unresolved application library references, defined in weblogic-application.xml: [Extension-Name: oracle.iam.ui.model, exact-match: false], [Extension-Name: oracle.rules, exact-match: false]..
weblogic.management.DeploymentException: [J2EE:160149]Error while processing library references. Unresolved application library references, defined in weblogic-application.xml: [Extension-Name: oracle.iam.ui.model, exact-match: false], [Extension-Name: oracle.rules, exact-match: false]. <Sep 12, 2014 2:20:52 PM EDT> <Warning> <oracle.as.config.notification.filesystem.WatchingDocumentChangeNotifier> <BEA-000000> <Exception during change of document /opt/oam/Oracle/11.1.2.0/Middleware/user_projects/domains/iam_domain/config/fmwconfig/mbeans/oam/oam-dummy-config.xml. oracle.security.am.admin.config.mgmt.exceptions.ConfigManagementRuntimeException: Configuration initial load failed for /opt/oam/Oracle/11.1.2.0/Middleware/user_projects/domains/iam_domain/config/fmwconfig/oam-config.xml. a) Increment the version, search Name="Version"
b)Search for the JMXConfig component, that is the line "<Setting Name="JMXConfig" Type="htf:map">". Cause for the issue is because of difference in database details in different files. We need to make sure all files got same details. WARNING: Could not create credential store instance. Reason oracle.security.jps.service.policystore.PolicyStoreConnectivityException: JPS-10000: There was an internal error in the policy store. internal error in the policy store. SEVERE: Exception has occurred while processing featureID: CoherenceAddLicenseMode. Stopping the process after calling rollback. oracle.security.am.admin.config.exceptions.ObjectCreationException: Cannot get implementation for type Locks.